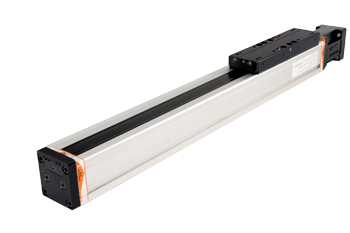 Unlike ram-style linear actuators which typically push and pull loads, rodless actuators are designed to support and transport loads to their desired locations. 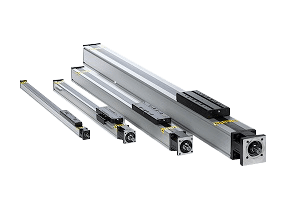 With their high load and moment bearing capabilities, Hunt’s rodless linear drive units are guaranteed to be the optimum solution in terms of performance and affordability. All products in this line can be customized to suit specific customer and application needs. Hunt Valve’s line of belt-driven rodless actuators are ideal for applications that warrant high speeds and significant moment load carrying capabilities, but at an economic price point. 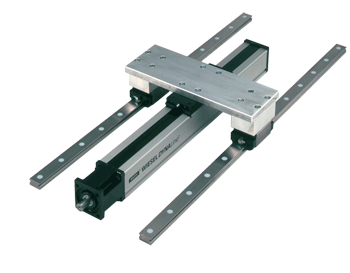 Both the SPEEDLine® and POWERLine® units offer a robust toothed belt drive configuration which provides consistent and reliable linear motion. 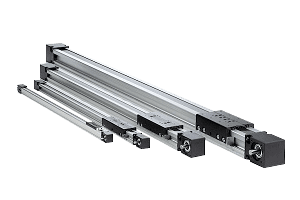 Ball-screw driven rodless actuators are the ideal choice for applications that require both high moment load capabilities and high feed forces. Ball screw actuator at Hunt includes the POWERLine and DYNALine series in a range of sizes engineered to meet exacting demands.